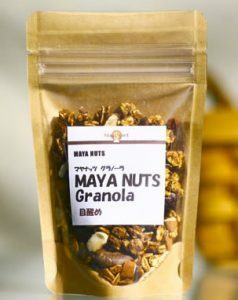 We have a good assortment of commodities. 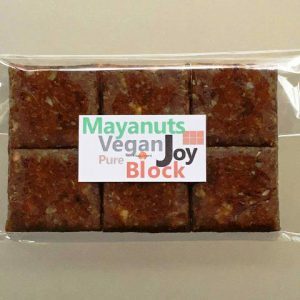 You can purchase these products from our webshop. 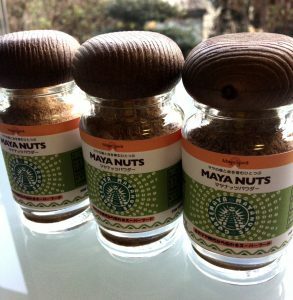 Drying, deep roast Maya nuts and grind to be powdery. 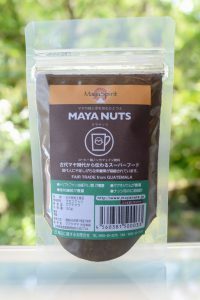 Non-caffeine coffee like nutty drink. 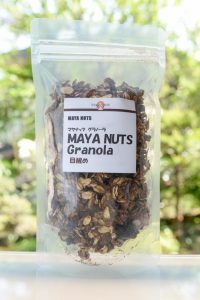 Very rich in magnecium and dietary fiber. 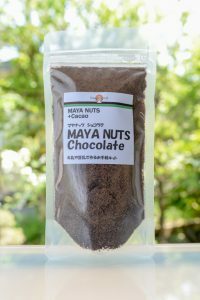 Tryptophan as an essential amino acid is included. 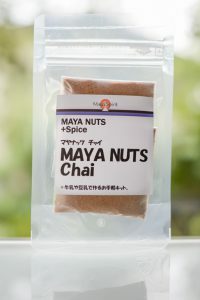 It is easy to drink just with pouring hot water like an instant coffee. 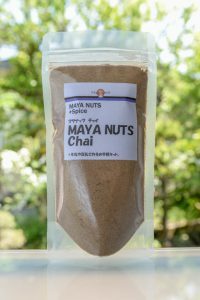 With boiling it(decoction), the taste will be better. 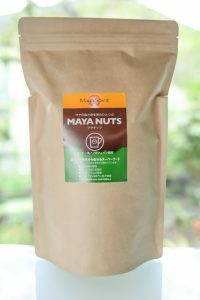 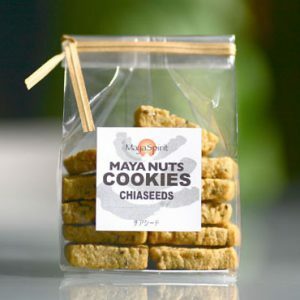 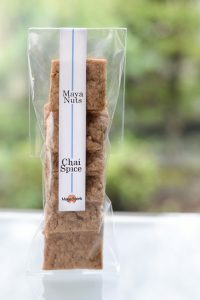 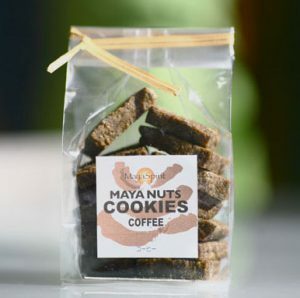 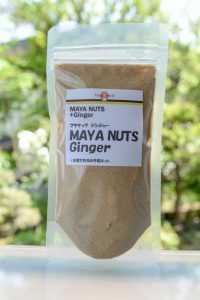 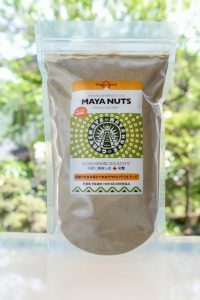 Maya nuts powder is a powder that dries Maya nuts, lightly roast and grind them. 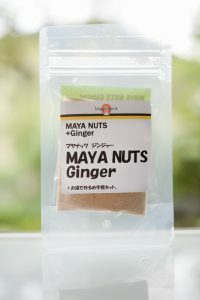 Please take it sprinkling on daily food or drinks. 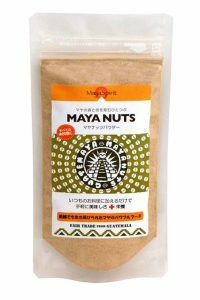 Just sprinkling on dishes as a curry or pasta etc.! 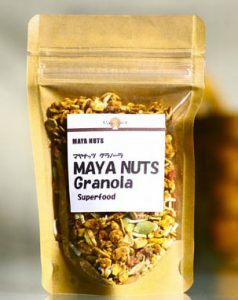 It makes a rich body! 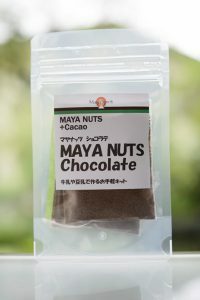 Please use it for sweets as bread or cookies, cakes and dishes, or for flavouring to salads etc. 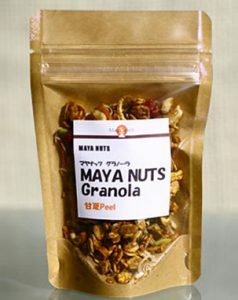 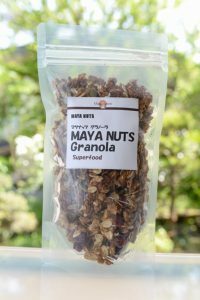 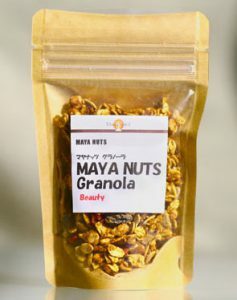 Using Maya nuts powder, It comes to crunchy & crispy. 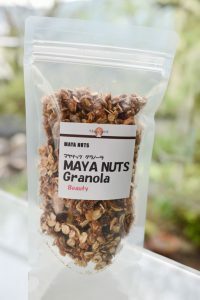 It is a rich granola with oatmeal, Maya nuts powder and maple syrup. 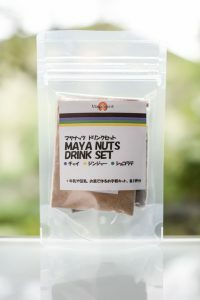 These are flavoured drink powder with Maya nuts and spiced tea or cacao or ginger etc. 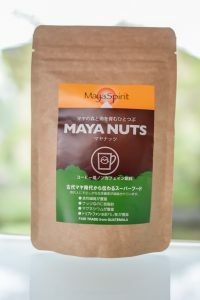 Just adding it in milk or soy milk, almond milk, rice milk etc., you can easily enjoy tasty Maya nuts drink. 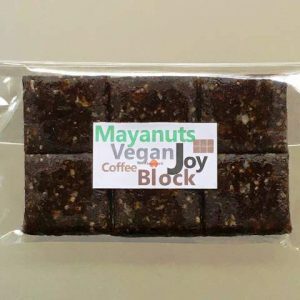 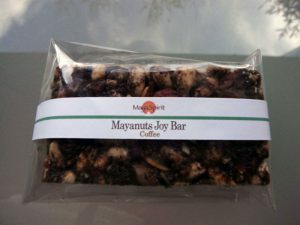 This is Vegan joy block with Maya nuts powder and coffee. 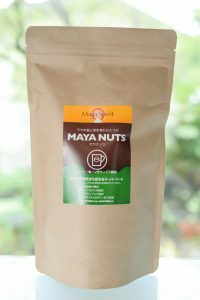 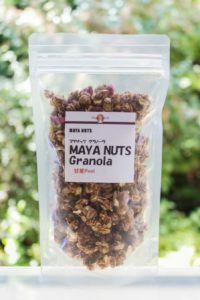 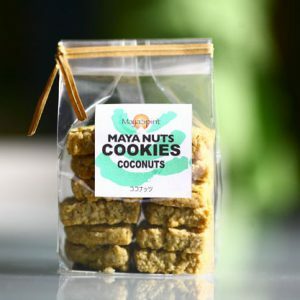 Maya nuts energy is concetrated in it. 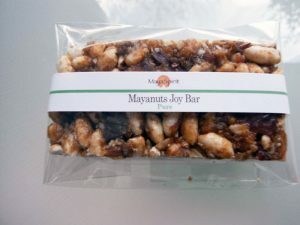 It is a energy food that contents your heart and feeling of hunger with even one piece. 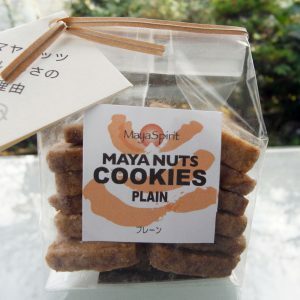 This is provided by Bioland from Yamagata village in Nagano. 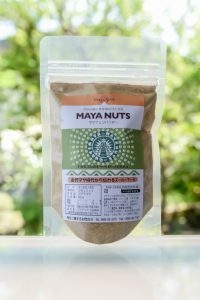 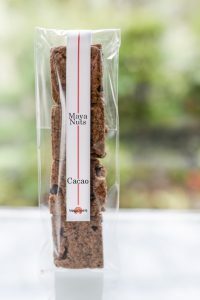 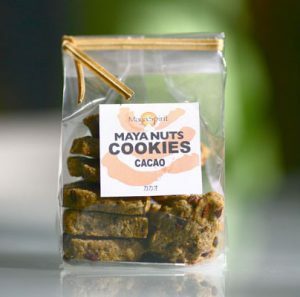 Without sugar, milk products, it is a sweets of Maya nuts version in series of dry fruit sweets “NATUR” made only with natural mellifluous taste. 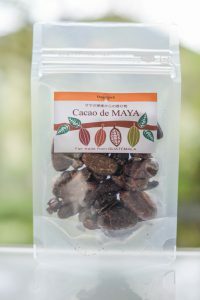 This is mixed cacao nibs(*) with cacao as it is. 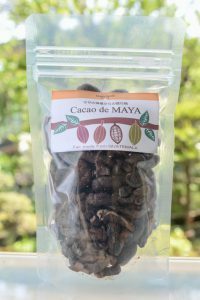 *Cacao nib : Roasting cacao beans, what removes skin and germ.